Single serve coffee brewers are becoming more and more popular these days. The simplicity and convenience of these systems makes them perfect for home or office. Finding one that suits everyone’s particular needs, however, is easier said than done. Until now, that is. The Bunn My Cafe MCU is a single serve brewing system that offers just about every convenience and versatility imaginable. This article will review its broad range of features, and hopefully help you decide if it’s the model for you. The Bunn MyCafe MCU offers a full range of brewing options. When you want a cup of coffee, you can choose your favorite K Cup alternate or the original K-Cup. However, you can also choose to brew your favorite variety of regular ground coffee. This versatility means that you can choose any coffee available in any form. For those times when you want tea, you can choose between tea pods, tea bags or even loose tea. Again, this means that there isn’t a single style or flavor of tea available that this model won’t brew. Finally, you can use the piping hot water for hot chocolate or any other hot beverage choice. Rather than simply using one drawer for all your brewing options, the MyCafe MCU has multiple drawers available. One drawer accommodates pods for pod coffee or tea brewing. Another drawer houses grounds for when you want to brew a cup of freshly ground coffee. Lastly, a hot water drawer allows piping hot water to be delivered for alternative hot water drinks. Using multiple drawers means that you won’t have an unwanted infusion of flavors. Your coffee will only taste like coffee, and your tea will only taste like tea. This is a huge factor in offering brewing versatility without compromising flavor quality. 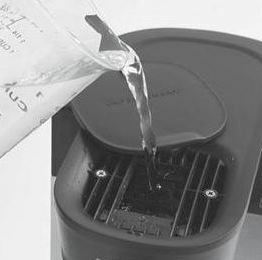 As a single serve machine, the Bunn MyCafe MCU requires water for each use. To make this easy, Bunn designed a cover that easily spins aside to allow for water filling. The lack of a large capacity water reservoir ensures fresh water for every beverage. Additionally, the lack of a large water reservoir keeps this model compact, perfect for places where space is limited. The MyCafe MCU comes complete with Bunn’s patented Plus Brew feature. This button programs the machine to extract the maximum flavor from the grounds, giving you a stronger cup of coffee. With this feature, you are guaranteed the richest, best cup of coffee each and every time. Another feature that adds to the versatility of the Bunn My Cafe MCU is that it brews multiple size cups. 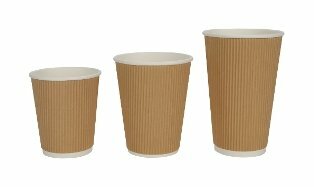 Choose a 4 ounce cup for a quick, small drink, or a 14 ounce cup for something more substantial. This versatility in brewing size means that you don’t have to settle for pre determined drink sizes. Now you can enjoy a beverage completely customized for your desires. The drip tray on the MyCafe MCU is easily removable. This makes it extra convenient for cleaning, as you simply lift out the tray for quick rinsing. 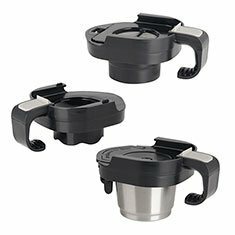 Additionally, by removing the tray you can fit taller travel mugs beneath the brew spout. Now you don’t have to transfer coffee from one cup to another. Rather, you can brew the beverage of your choice into the cup of your choice. This not only adds extra convenience, but it also cuts down on waste, making this model environmentally friendly. The K-Cup compatibility of the MyCafe MCU gives you the convenience of pod brewing. Perfect for mornings when you don’t have time to mess with coffee grounds, this will help you get coffee quickly. Another advantage of the K-Cup option is the simplicity of clean up. Rather than having to clean out coffee grounds, just dispose of the used pod in one easy step. The K-Cup feature is compatible with K-Cup alternatives as well. This means that you can enjoy any flavor available in a brewing pod format. Additionally, you can cut costs by using more economic coffee pods, such as store brands or those from smaller companies. The Bunn My Cafe MCU has a brewing time of less than one minute. That means you can indulge in a cup of coffee or tea even when time is of the essence. The fast brewing time also means that piping hot water is available virtually instantaneously. Such a fast brew time makes this model ideal for offices where people won’t have to wait long. One beverage can be brewed immediately after another, making it easy and convenient. With very few removable parts, this model is extremely easy to clean. The stainless steel body requires nothing more than a quick wipe with a damp cloth. The easy to remove drip tray and drawers can be rinsed in the sink to remove any residue. For a more thorough cleaning, the drip tray and drawers can be placed on the top rack of a dishwasher. This means that every level of cleaning is equally as easy and convenient. The stainless steel construction of the Bunn My Cafe MCU makes this model as durable as it is versatile. This design is perfect for any office or other environment where the Bunn MCU might be subjected to rough treatment. Additionally, the polished steel body is easy to clean, requiring nothing more than a quick wipe to restore its luster. The compact size of this model also makes it perfect for any office or home where space is a limitation. Bunn backs the My Cafe MCU with its full two year manufacturer’s warranty. This ensures the quality of the parts, as well as the craftsmanship of the assembly process itself. Friendly and reliable customer service is available by phone or online, providing support and information free of charge. With a rating of 4.0 stars out of 5 stars, from nearly 2,200 customer reviews, this model has been very well received. Such a consistently high rating shows that this model will deliver top quality beverages with speed and convenience. Set up for the Bunn My Cafe MCU is both quick and easy. Simply plug in the machine and add the desired amount of water for your next beverage. Next, select your favorite K-cup from your collection. We suggest to arrange those in some kind of K-Cup carousel. Choose the size of the beverage you are making, and place your cup under the brew spout. Finally, choose the Plus Brew option for an extra strong cup of your favorite coffee. Press brew, and your beverage will be ready to drink in under 60 seconds! The cleaning of the My Cafe MCU is as easy and convenient as the brewing process itself. The stainless steel body only needs a quick wipe with a damp cloth to remove any spots or residue. The drip tray removes easily for a quick rinse in the sink. Each of the four product drawers are easily removable for a quick rinse as well. For a more sanitary clean, the drip tray and drawers can by placed on the top rack of a dishwasher. Finally, we can unscrew the water spray head for cleaning. The spray head can be quick rinsed, or soaked in a descaling agent in the case of calcium deposit buildup. A full two year manufacturer’s warranty is provided by Bunn. This is a limited warranty, so it only covers defects and electrical issues. Full customer support is available by phone or online to answer any additional questions or concerns at no extra cost. The versatility of the Bunn My Cafe MCU makes this the perfect model for everyday use. Able to brew coffee, tea, pods, cups or grounds, there is virtually no beverage that this machine cannot brew. The simple and compact design makes this model ideal for the office where space is at limit. Few removable parts mean that cleanup is easy and quick. Short brewing time means you don’t have to wait for your drink. This is especially handy for offices where beverages are brewed in quick succession. The hot water is provided by this model is very hot, much better than many other single serve systems. Easy to use controls help keep the programming simple and clear. Without a large capacity water reservoir, the unit requires water for each and every brew. The water reservoir is not removable, making cleaning virtually impossible. The brewing drawers require extra space for storage other than the machine. With the perfect balance of convenience and versatility, the Bunn My Cafe MCU is a safe bet for just about anyone seeking the best single serve coffee maker. Also able to brew coffee, tea, pods or cups, this model is capable of brewing virtually any beverage conceivable. And with quick and convenient maintenance and clean up, this is a model sure to please in every way!